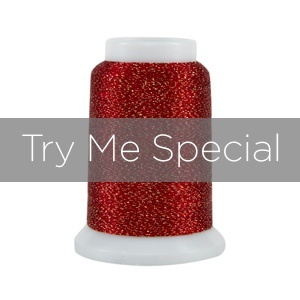 Superior Threads > Try Me Specials > HALO try me special. Try Me Special for Tex 30 (approx 40 wt.) Halo thread - 550 yd. mini cone. Try Halo polyester thread which has been designed for decorative serging, bobbinwork, and couching. We've reduced the price so you can try a selection of our threads. You choose the thread, we choose the colors.